The idea of a “supply chain” might sound like it’s only for big companies with massive factories and lots of vendors and moving parts – but the truth is, lots of small businesses have supply chains too. And small business owners can benefit from using automated tools like supply chain management (SCM) software to make their businesses run more efficiently. 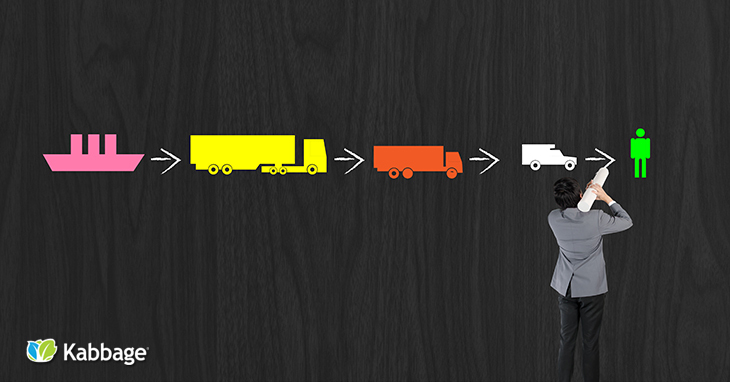 Having an effective supply chain is especially important for small businesses. Luckily, there are cutting-edge digital tools that make it possible for small companies to harness the power of international shipping and logistics, “just-in-time” manufacturing, reduced costs on inventory, better relationships with suppliers and more. Whether you run a restaurant with a complex supply chain of fresh produce or you manage a small manufacturing business that relies on multiple suppliers to deliver the goods that you sell, there are many situations where small business owners can benefit from SCM software. SCM software can help your business manage shipping schedules, track inventory (to make sure you’re getting the most out of your inventory and not keeping too many slow-selling items in stock), evaluate offers from multiple vendors (ensuring you get the best price and service levels) and avoid mistakes like late deliveries or shipping the wrong product. Today’s small businesses are buying inventory from international suppliers and shipping products to customers all over the world. This global reality of the small business economy makes it important to get the most out of your supply chain – making sure that you’re managing costs, meeting deadlines and doing business in the most efficient way possible while capitalizing on opportunities. Supply chain management software makes it easier than ever before for small business owners to handle complex global transactions and navigate worldwide supplier relationships. According the a survey from Software Advice, so far, very few small businesses have adopted supply chain management software. Only 6 percent of small businesses are currently using SCM software, while 21 percent of medium-sized and large businesses are. This is a sign that small businesses who choose to be early adopters of this software might see significant competitive advantages – if SCM software can help your business run more efficiently, you might be the first one in your market to capitalize on those opportunities. Not surprisingly, smaller businesses tend to have smaller budgets for SCM software. Medium-sized and large businesses have an average annual budget of $171,000 for new SCM software, while small businesses (with revenue less than $50 million) have an average budget of $30,000 for new SCM software purchases. The Software Advice article says that many small business owners might have “sticker shock” when first looking at the price of SCM software, but it’s not as expensive as it might first appear. There are many cloud-based SCM tools now available that make it possible for small businesses to get just the right level of service and features to suit their specific needs, without having to invest in the full comprehensive software package that a larger company would need. In fact, if you look at the breakdown of average budgets for small business SCM software buyers, the average spending level gets even lower as the companies get smaller. For example, companies with revenue of $1 million to $5 million have an average SCM software budget of $13,392; and companies with less than $1 million in annual revenue have an average budget of $5,156. It’s possible to find good SCM solutions and get good results even on a small budget. Kabbage Takeaway: Even if you run a small business, you might benefit from investing in supply chain management (SCM) software. There are various cloud-based services that make it easier and more affordable for small businesses to manage logistics, track shipments, optimize their inventory, oversee supplier relationships, and handle various other tasks to make for a better-run supply chain. Have you considered using supply chain management software for your business? What are some key features that you’d be interested to see? Leave a comment and let us know!